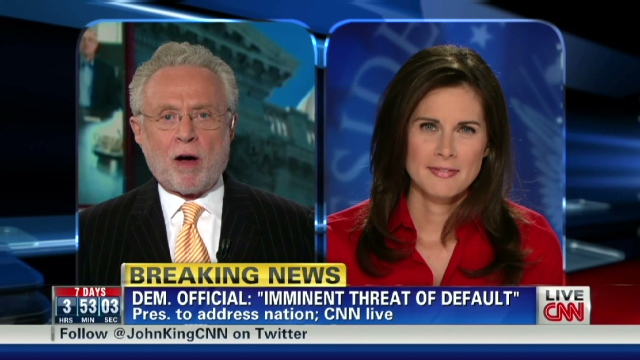 New CNN anchor Erin Burnett makes her debut on the network during a special hour leading up to President Obama’s address to the nation on the debt limit impasse and the potential default of the full faith and credit of the United States if an agreement in Congress isn’t made. Burnett’s source says that Speaker of the House John Boehner’s plan might result in a downgrade of the US economy by Standard and Poor’s, which could raise interest rates, while Senate Majority Leader Harry Reid’s plan could prevent a downgrade because the higher amount of cuts up front. Burnett’s show premieres in the Fall at 7p ET on CNN.